You've put so much work into setting up RetroPie or EmulationStation. You load it up with legally obtained ROMs only to find that custom theme you installed—you remember, the one from my RetroPie themes guide—has a big blank spot for box art! How can we fill in this information for all of those ROMs? That's where a process known as scraping comes in. To tackle this problem, you'll need something referred to as a scraper. 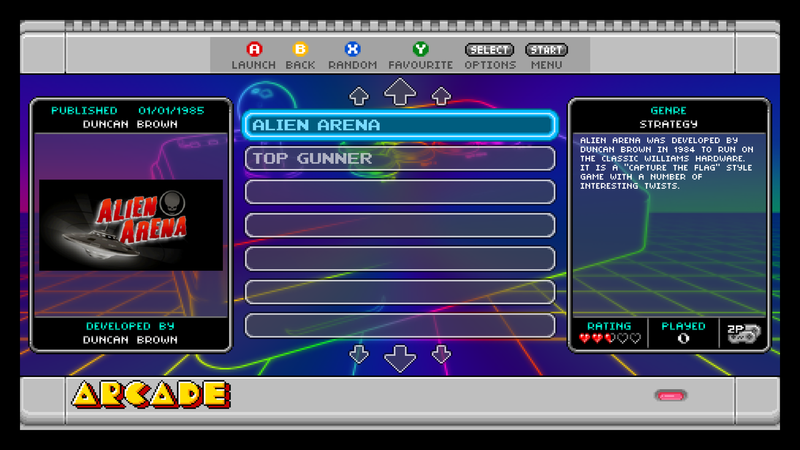 While playing games may be the ultimate goal of running RetroPie or Emulation Station, there's still something to be said about a well made user interface. When you select your ROMs, seeing the box art and game information adds a clean, professional touch. The additional box art and info is referred to as metadata. The process of putting this metadata onto your Pi is called scraping. 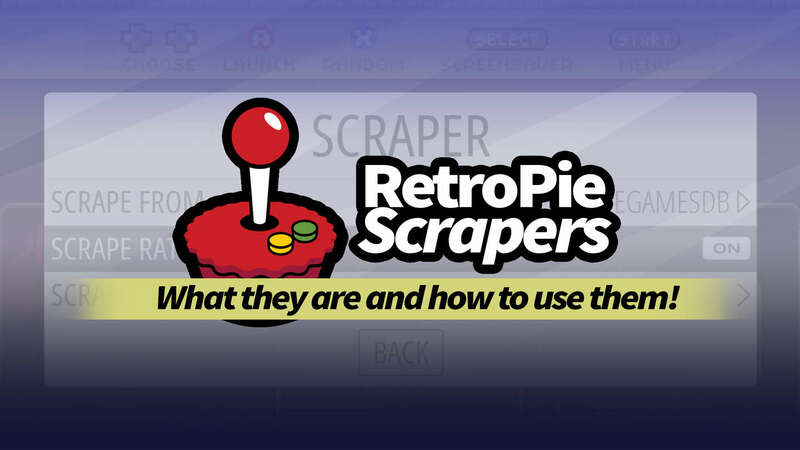 In this guide, we'll take a closer look at a scraper and how to use it to put metadata on your RetroPie. Scraping pulls metadata for your ROMS from the internet and integrates it with your list automatically. As long as you have a connection to the database, updating your collection is as easy as pressing a button. One of the easiest scrapers to use with RetroPie is already built in to the system. 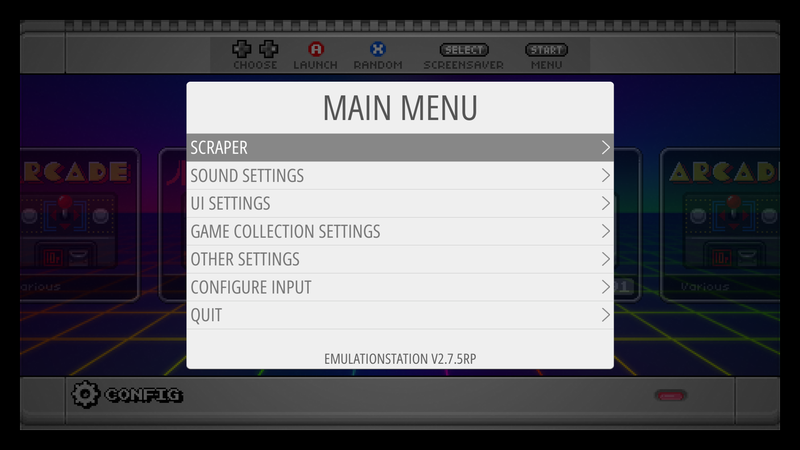 The RetroPie scraper can be accessed from the main menu under the option labeled "Scraper". By default, the ROMs will be synchronized with metadata from TheGamesDB.net. To synchronize your ROM list, choose "Scrape Now". There are several options you can adjust throughout the syncing process. For example, you can synchronize specific systems or choose to include ratings. The amount of time this process takes depends on several factors including your list of ROMs, its size, your internet connection speed, and abstract forces in the universe that occasionally act at random against electronics when you want to do something fun. If it seems to take a while, leave your Pi overnight to finish synchronizing the information. Some users prefer to use third party scrapers to pull their information. These scrapers need to be manually installed. Here are a few common scrapers with installation instructions. [Official Installation Instructions] - Steven Selph's Scraper is an easy to use third party scraper. It's not hard to setup and can be a fast way to scrape metadata to your RetroPie. [Official Installation Instructions] - Skyscraper is a highly customizable option with an interesting level of depth in the kind of information it scrapes. It was created by Lars Muldjord. 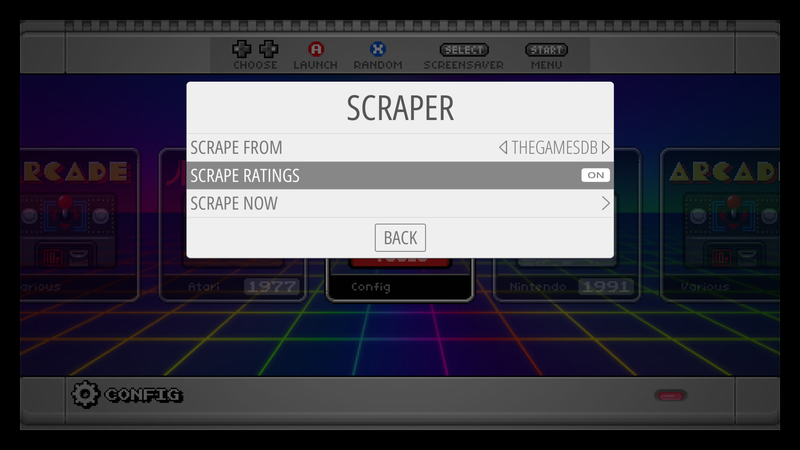 This scraper is one the most versatile and regularly maintained scrapers available for the RetroPie. If you’re using the default scraper, this is a commonly heard of side effect. The database has been known to experience intermittent downtime. However, you may want to investigate additional factors that may be affecting your internet connection speed. The first thing you need to check is your internet connection. Verify your Raspberry Pi is connected to your network. Ensure the Pi is able to reach the internet. If it can’t, make sure other devices on the network aren’t having a similar problem. 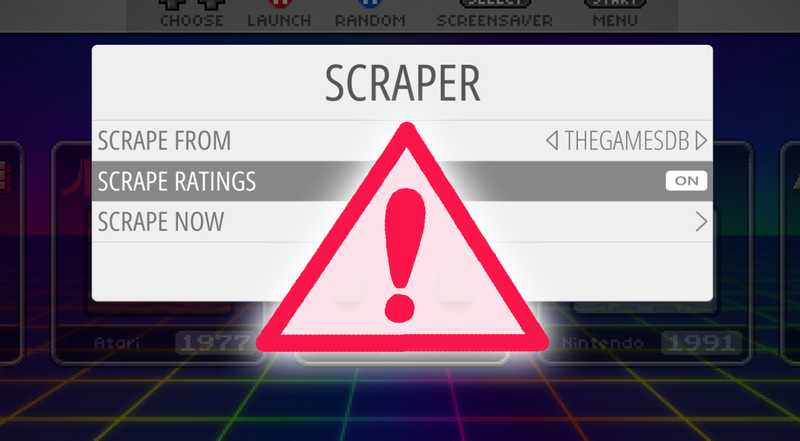 If you’re using the default scraper, you may just need to try again later. The database you pull metadata from is responsible for the quality of artwork. If you’re not happy with the results, you may want to experiment with a different scraper.